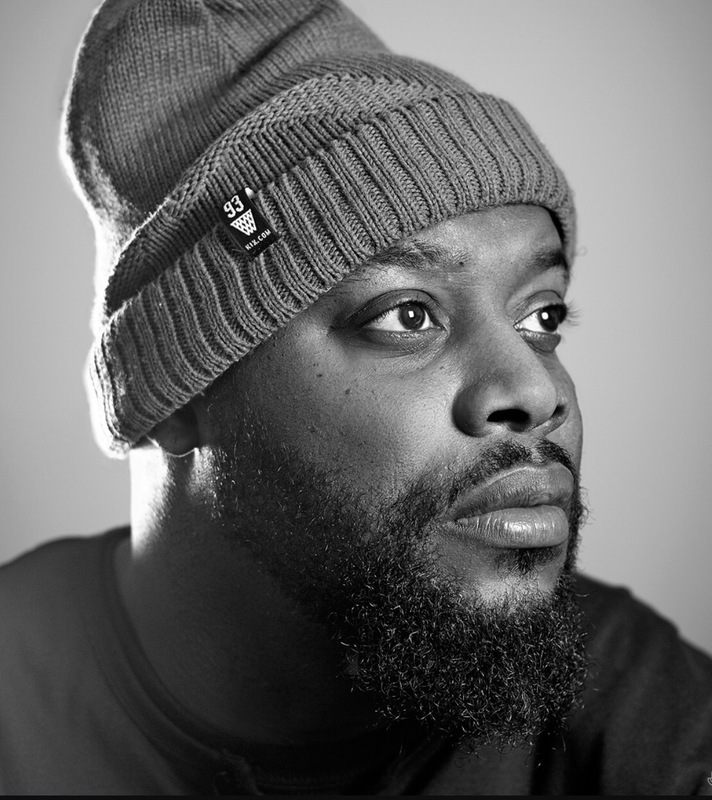 On February 12, 2017 the city of Detroit stopped what it was doing for one night to gather at Bert’s Warehouse located in Eastern Market to celebrate the legacy of their hometown hero, James Dewitt Yancey known by many as J. Dilla. Performers for the night included many of the cities locals as well as established acts such as Boldy James, Phat Kat, & Guilty Simpson. 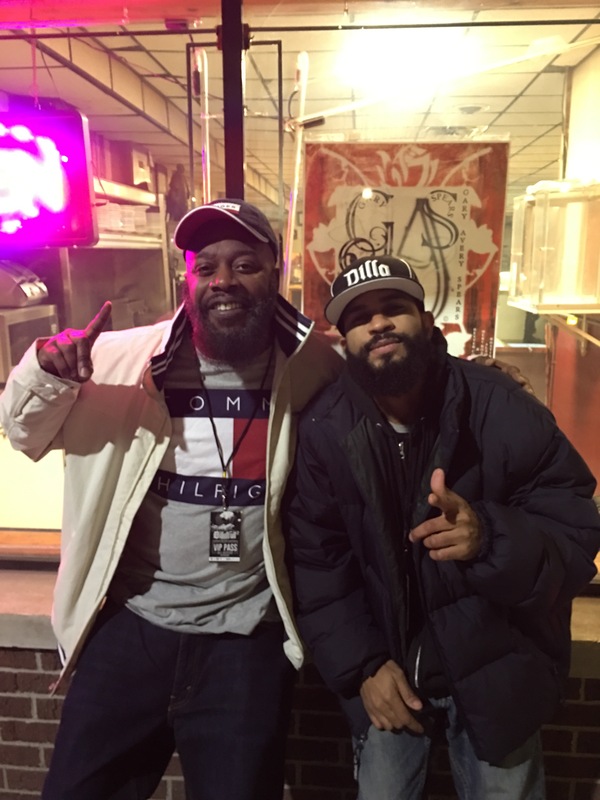 I had the opportunity to catch up with Guilty Simpson before his performance to see what the Detroit spitter has been up to…. We haven’t heard from you since “Detroit’s Son”, what have you been up to since then? Guilty Simpson: Uhm, touring a little bit. Just being creative now I’m back home just got off tour close to Christmas in December last year. So right now I’m just in the studio being creative, you know what I’m saying? Just trying to come up with that new splash for ’em. How do you think you’ve progressed since 2008’s,”Ode to the Ghetto” until now? Guilty Simpson: I think tremendously. You now at least with my comfort level of writing songs being able to format what I want to do. Uhm, control the rhyme so to speak. I always feel like the best emcee’s control the rhyme, the rhyme doesn’t force you into a corner and make you say the same things other emcee’s say. I think I have more pen control, mind control and confidence in myself, I think I’m much better. You’ve worked with a variety of producers like on your first album you had Dilla, Oh No, Madlib. 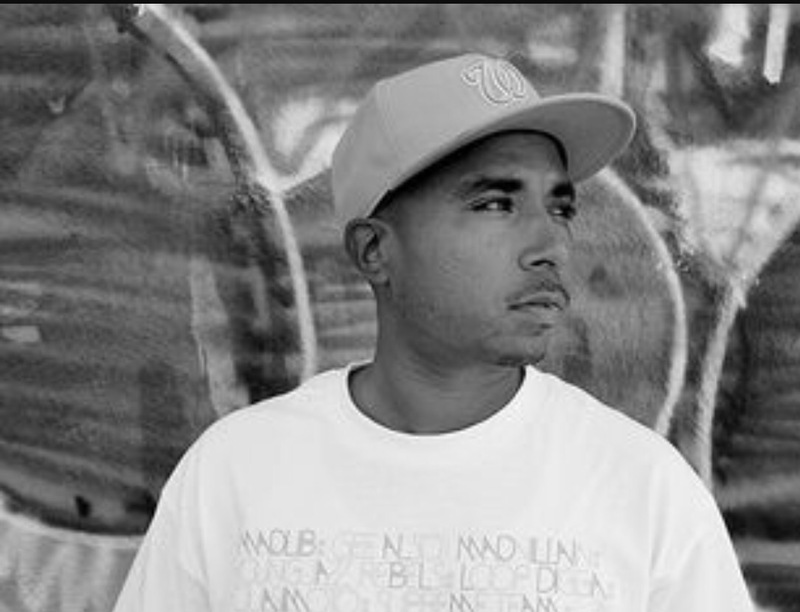 You’ve also worked with one producer projects such as Apollo Brown (Dice Game), Madlib (O.J. Simpson), Oh No (The Simpson Tape) ,The Quakers (Detroits Son). Which do you prefer better, working with a variety of producers or that one project with that one producer? Guilty Simpson: Uhm, I like one producer…its a lot easier to get the stuff done. Sometimes when you deal with a bunch of producers, ya know you got to call this guy and get the beat sent. You might not like the beat, so now you you got to get more beats sent. Then you know a lot of people that I deal with you know a lot of them might have something else on their plate to the point where their not just necessarily sitting around waiting to send me beats. So, I think it’s a lot easier when you deal with one producer because you get a chance to sit down with them and go through his catalog and sometimes you might hear everything you might had contribute to the record in a day or two. And that kinda gives me better writer freedom because I’m not sitting. When I get in my writing element, I want to create. So once I get all the beats I need, I kinda like to get lost so to speak. Go off the grid and create. I think it’s a lot easier when you deal with one person then 10 producers for one project. Guilty Simpson: You just got to be dope man, you know what I’m saying? They are all super talented dudes. Ya know sometimes I talk a lot of business when I deal with certain people but in those 3 situations, those were just people I looked forward to working with you know what I’m saying? I think they’re all talented. Think they are almost trapped in the wrong era similar to me, you know what I’m saying? But you know, it’s all good we make the most of it. 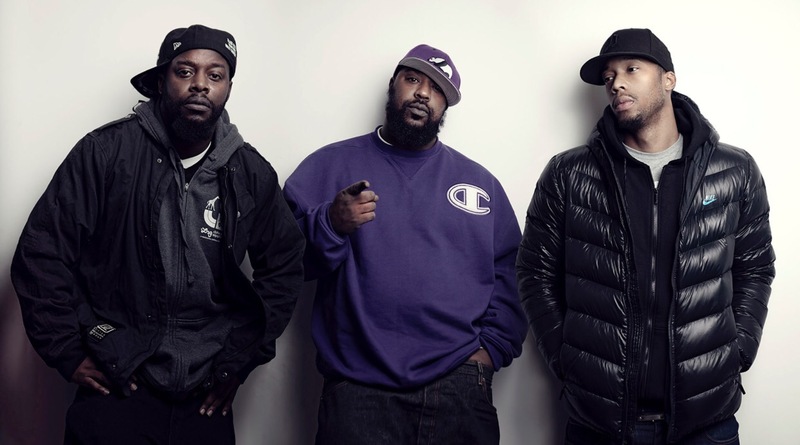 You also had the pleasure of knowing the late great Sean Price before he passed. How did you guys meet and how did the whole Random Axe thing come about? 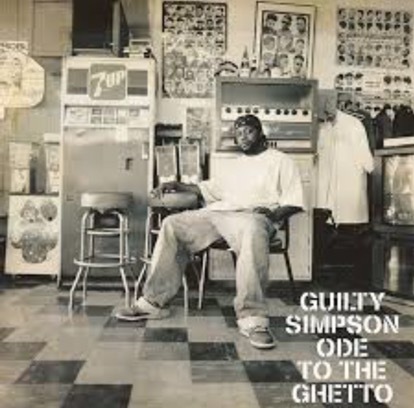 Guilty Simpson: Uhm, when I was doing “Ode to the Ghetto”I hollered at him about being on this track with me and Black Milk, a song called “Run” that was on my first album. When I reached out to him to do the feature, he hit me back and said lets do an album you know what I’m saying? He didn’t want money, didn’t want nothing. Just figured we should just work together so I came up with the name “Random Axe” you know what I’m saying? We all kinda agreed on it, we just kept it pushing from that and just became friends from that. So mutual respect, I had already respected him. He didn’t know me from a can of paint but he did his research and respected what I did to the point where he wanted to work with me. So it’s just really that simple…..
…. so how did you guys first connect? Where were you at when you first heard J. Dilla ? Guilty Simpson: Uhm, probably heard Dilla for the first time in ’93, ’94. We use to go to St. Andrews Hall a lot, my mans D.J. Houseshoes use to be spinning his records at the time. He (Dilla) was almost like a ghost, you know what I’m saying? Because he (Hoyseshoes) was playing these songs and people were like,” you didn’t know this Tribe (ATCQ) song”? “Jay Dee produced that!” Who is Jay Dee? “Jay Dee is this producer from Detroit”. So ya know I took a personal interest towards him not only for his music ya know when you find out someone is that talented from your home you really draw into it. So I kinda did my research, before you knew it I was hooked. You know anyone who gives J. Dilla an honest listen I don’t find many that listened and say “it wasn’t for me” you know what I’m saying? Most people who are not into J. Dilla probably don’t know J. Dilla you know what I’m saying? So we just uh, years kinda past and I use to frequent this place called the “Lush Lounge” you know what I’m saying? We use to rhyme there and he was in the spot one night you know what I’m saying and my mans Toney Tone asked if I wanted to meet him, I met him and was in the lab with him two days later. Ya know, I said the right rhyme at the right time…. 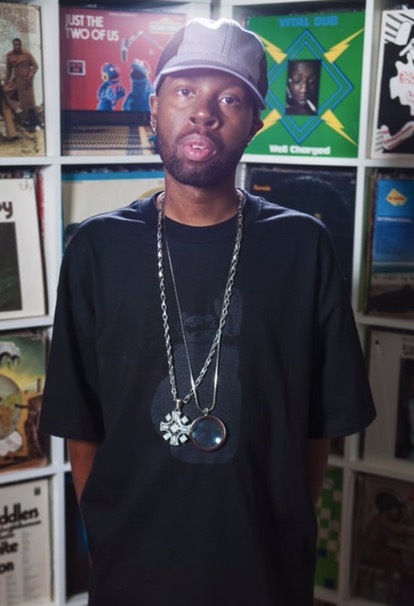 What is it about yourself that J. Dilla considered you one of his personal favorites? Guilty Simpson: Uhm, I don’t know… I don’t really buy into my own hype so I think that makes a person more likable you know what I’m saying? I’m not my biggest fan ya know? Somebody might say a verse is incredible and I’m listening to details of what I could have did different to make it even better so unlike a lot of these other rappers ya know I don’t buy into my own hype. So since I don’t buy into my own hype I’m always looking to improve and I think as a producer, that is probably the best kind of rappers probably to work with. You know somebody that’s trying to find his flaws trying to make the perfect song but in your mind the perfect song doesn’t exist so you’re always pushing to get better. So that’s the foundation I stand on, so that’s how I choose to do my thing. 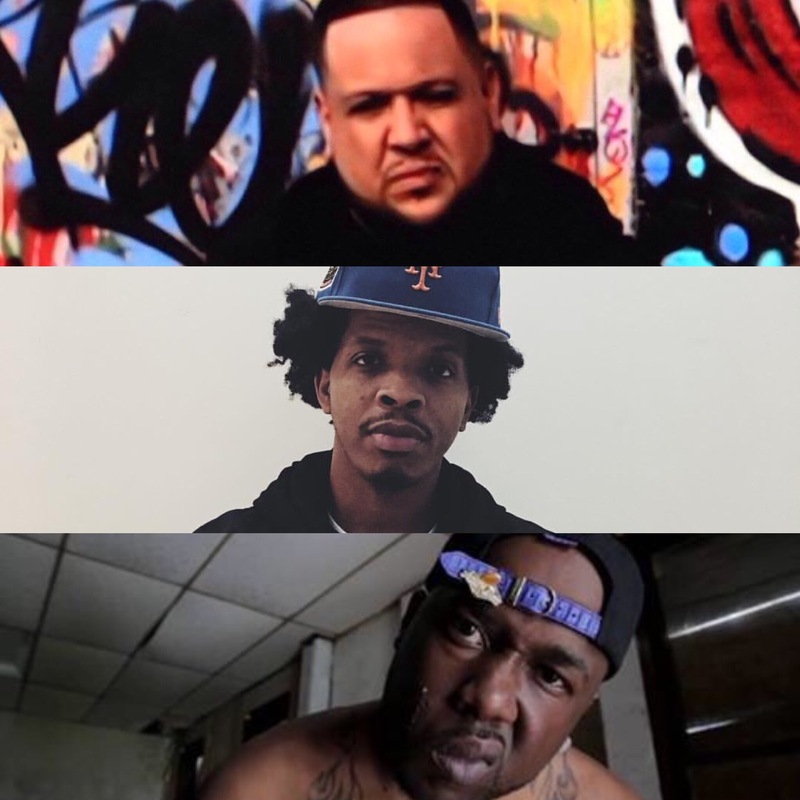 You think Detroit Hip-Hop is where it needs to be today? Guilty Simpson: Nah, we can always get better. Ya know like I just said as far as me as an emcee, us as a city we can get better. We can get better with unifying, we can get better with getting organized. We can do better with building our own foundation here in Detroit where we don’t have to feel like we have to go other places to blow up, to reach out to these labels. But now it’s a digital world, so you know I don’t know how long the labels going to last anymore because everything now is just so computer based. But I feel like we should always be able to improve you know what I’m saying? It’s not perfect around here but one thing I can say is its rich with talent, you know what I’m saying so that’s the foundation of everything ya know the talent. The talent is definitely here but I think we should be more organized for sure. Who is Guilty Simpson listening to these days? Guilty Simpson: Ha! You don’t even want to know man. Bob James, Fela Kuti…. Guilty Simpson: …. Yea, The Isley Brothers, Gap Band. My wife says I’m a “old head” trapped in somewhat a “old head” body , you know what I’m saying? As far as emcee’s I’m kinda on my uhm… definitely on my Griselda, anything that they’re doing. Westside Gunn & Conway, love what those guys are doing. I love Oh No, love Alchemist, Black Milk. Really whatever, I’m not a person that’s really set on one thing I just kinda sponge things up but as far as the emcee’s I kinda listen to whoever it is in short dosages. I’m so engulfed in what I’m doing so if I’m listening to Hip-Hop, it’s usually a beat you know what I’m saying or writing a rhyme. So if someone tells me somethings on fire, and if I can stop to listen to it I will. We got Producer A-Villa logged on. 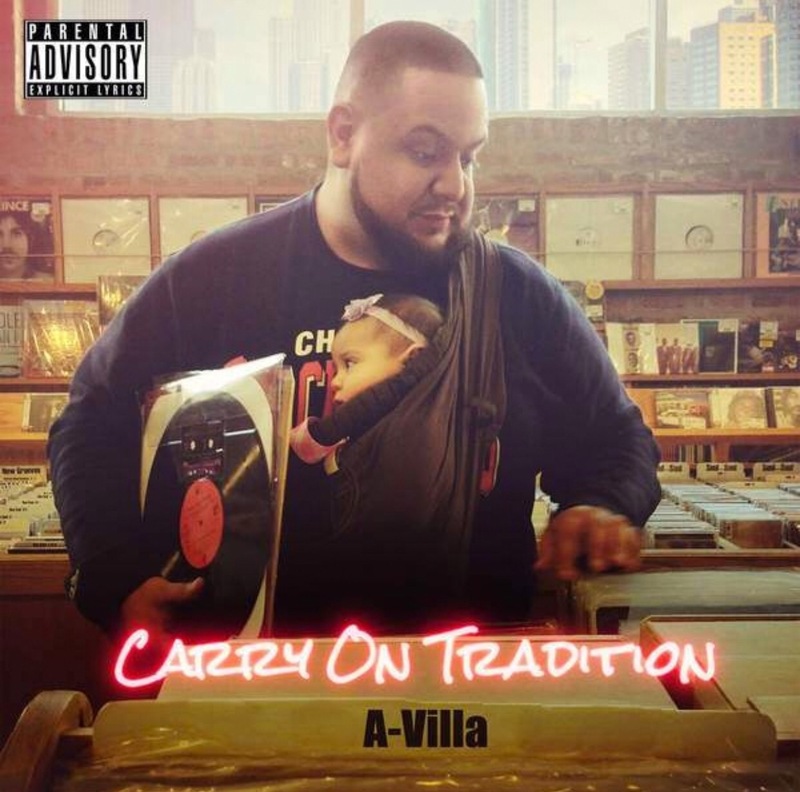 Is there a chance we can get a A-Villa/Guilty project in the mix? Guilty Simpson: Hey, you never know what the future could bring. You know we got to get em’ to cut that check tho, you already know! That’s something they need to pay for you know what I’m saying? I’m open to all like I said I don’t just connect with names you know what I’m saying I’m more looking for a sound. I’ve been blessed to work with producers that do have names but at the same time that’s not what I’m looking for ya know. With me it’s not like”hey if I connect with this producer my name could blow up better.” I think of more or less the songs, the project could be fire you know what I’m saying? That’s how I work… he (A-Villa) definitely got fire to him so I’m definitely open to whatever. Any projects you working on currently? 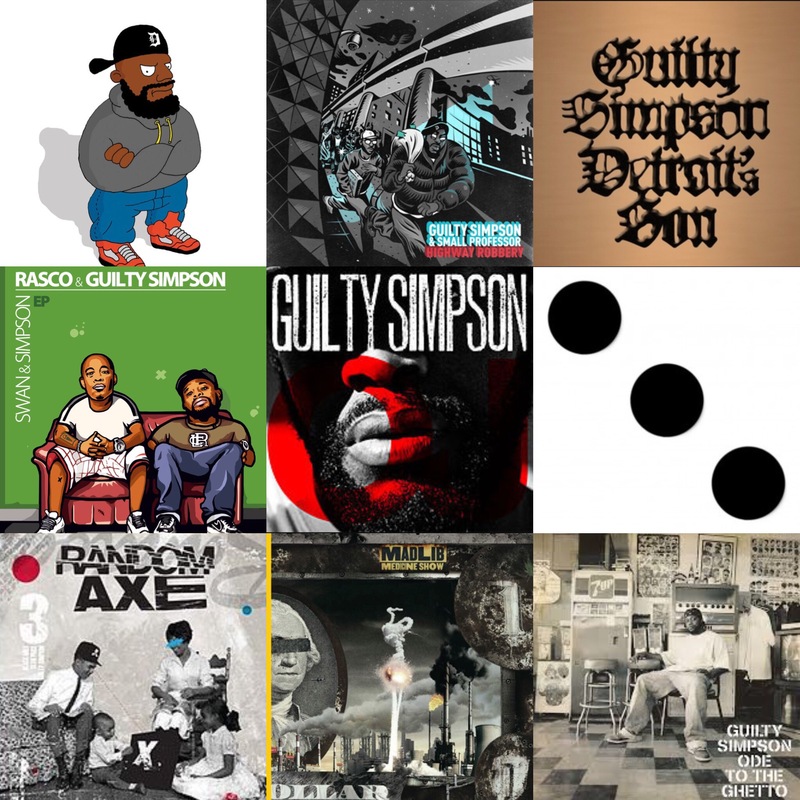 Guilty Simpson: Yea, I’m working on a project with my man M.E.D., I’m working on something with him right now and something closer to completion right now is my mans from “Man bites Dog”, Roc Marciano is the president of that company over there. I’m working on a project over there now so I’m working on that and it’s almost done. Pretty much all my vocal contributions are done to it right now, they’re just kinda wrapping up the project. So uhm, that’s just like the next step for me. I gotta couple projects coming out this year tho, be on the lookout. Where can everyone find you as far as social media goes? Guilty Simpson: “Guilty Simpson” man, that’s on Instagram or Twitter. I don’t really do the Facebook to heavy so don’t even look for me out there…but yea “Guilty Simpson” that’s me all day. Appreciate you spending time with me, fam.